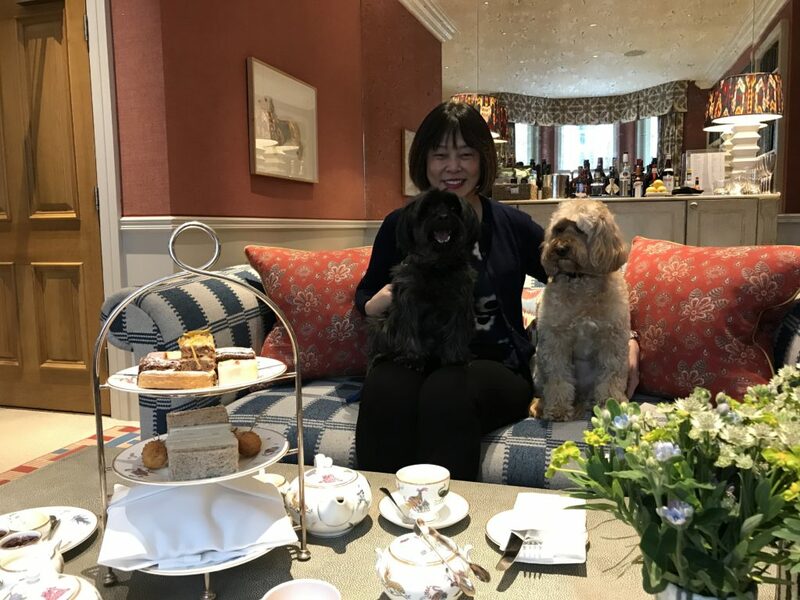 There is nothing Mummy would like better than to celebrate Mother’s Day than having Afternoon Tea with us. And we were happy to oblige. 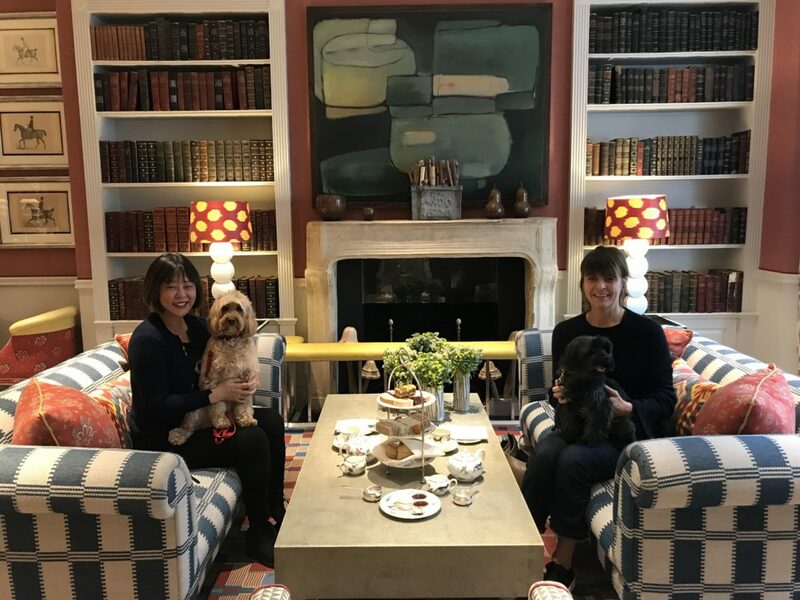 It was also an opportunity to share this quintessentially English tradition with one of Mummy’s bestest friend, Manuela from Düsseldorf – who had never had an Afternoon Tea experience before! 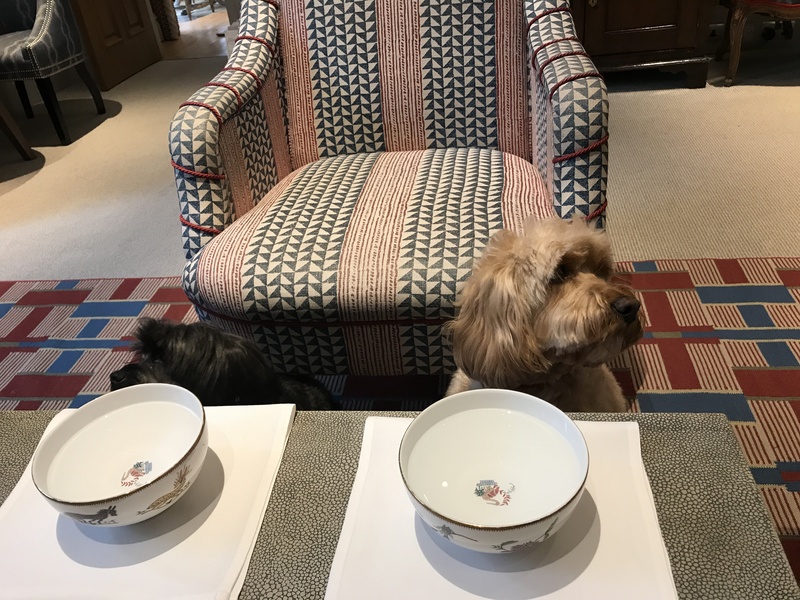 The staff at The Knightsbridge Hotel knew we were coming and served us water in their Wedgewood china bowls by Kit Kemp. We looked on as Mummy tucked into her sandwiches. But Mummy did generously cut up her ham sandwich into six bite sizes for me and George. It was yummy-licious! 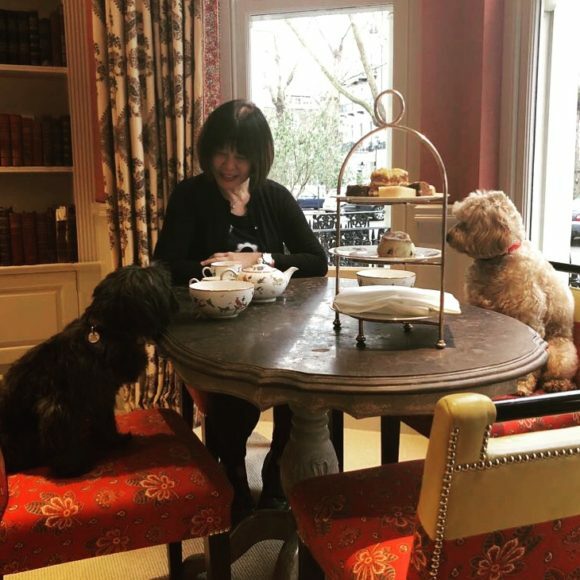 Mummy told Georgie that this is how we have Afternoon Tea in England. And in between sips of Earl Grey tea, we talked about the British weather and debated which way we should eat the scones – Cornish or Devon. But things have changed and now we talk about Brexit and crazy world leaders. Times have changed, Georgie but the quintessentially British Afternoon Tea remains! Happy Mother’s Day! From your furry kids. That’s how I feel with my dogs. 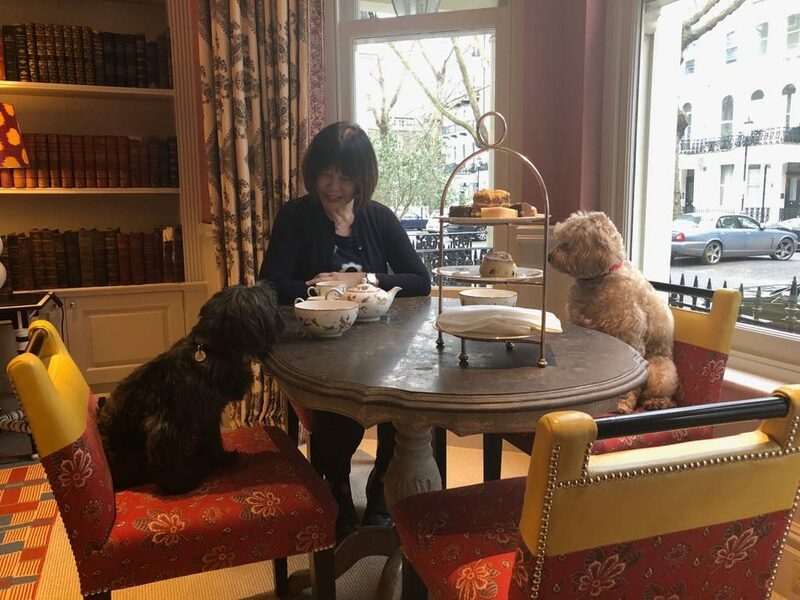 To commemorate Mothering Sunday, we had Afternoon Tea at The Knightsbridge Hotel, part of the Firmdale Hotel Group – which is discretionary in allowing dogs in their hotels. 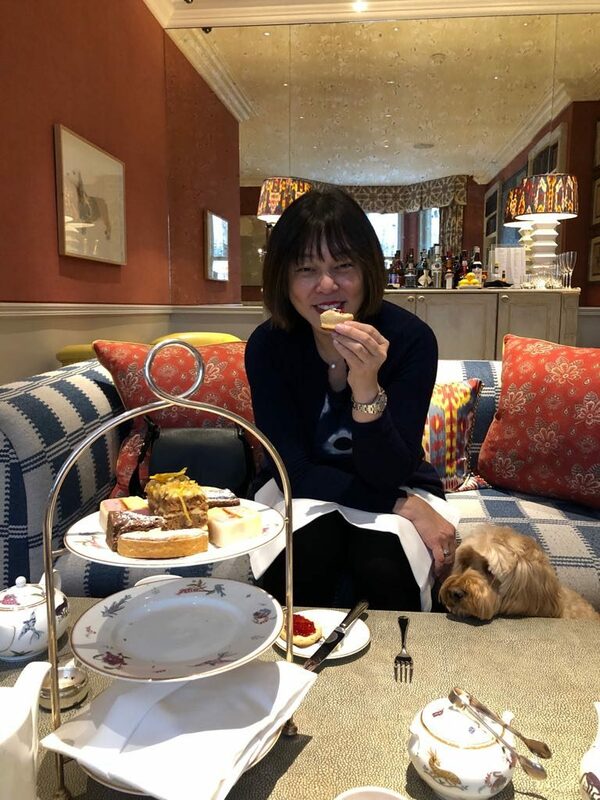 We’ve been there once before and couldn’t think of a better venue to introduce Afternoon Tea to a friend’s first Afternoon Tea, a friend with exquisite taste. Love their hotels, especially their decor by Kit Kemp. 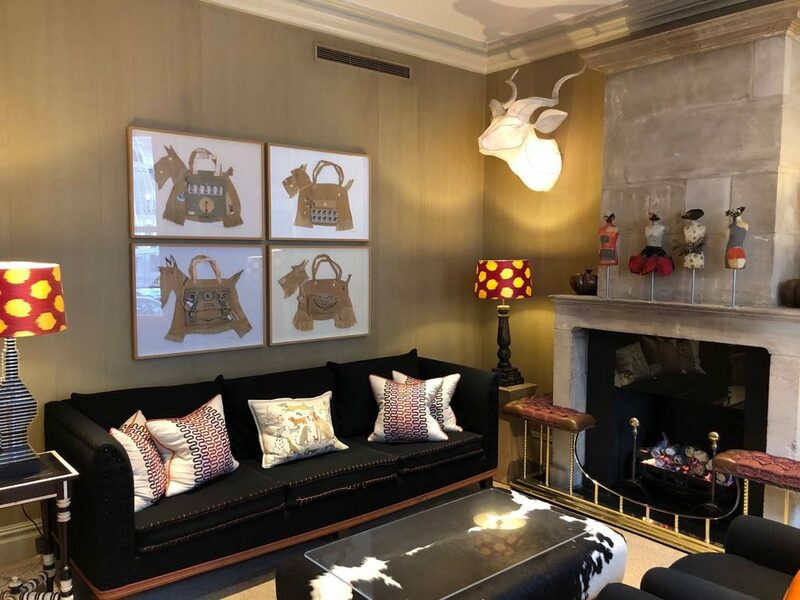 It’s not a coincidence that they have dog motifs on a lot of the decoration – the owners are dog lovers! Happy Mother’s Day. We must wait until May! I do love your blog posts. And I hope that young George was as well behaved as yourself. Kristoff is very jealous that you had afternoon tea when all he had was cuddles with Mummy and meatballs (with some stringy Italian cheese). Love is!